Tim Wright and I were born a few days apart in December 1957. (He’s older and rather looks it, I think.) Which is to say that Tim and I are both on the far side of a generational divide in America. Either you were a Captain Kangaroo kid or a Mister Rogers kid and we were both Captain Kangaroo guys all the way. Until I met Fred Rogers on a newspaper assignment in the fall of 1995, I knew more about Mister Rogers from the Eddie Murphy parody on Saturday Night Live than I did from watching Fred’s show myself. Tim Wright’s introduction to Fred’s human greatness came much more recently. He is the pastor of a wonderful church, Community of Grace Lutheran in the Phoenix suburb of Peoria, Arizona. 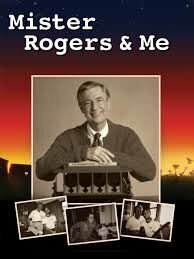 It was a church member who recommended that Tim watch the deeply moving and insightful documentary of a few years ago, Mister Rogers and Me, produced by my friends, Benjamin and Christofer Wagner. The film inspired the pastor to read my book on my friendship with Fred, which in turn led to an invitation for me to spend what would be a magical, whirlwind weekend in the Arizona desert. I shared a highly meaningful hour with twenty men at a sunrise bible study on Saturday, was interviewed about Fred on a local television morning show, took part in three worship services and then gave a longer talk at Tim’s church on Monday night. During the services, Tim used his sermon time to ask me about my unlikely relationship with the children’s television icon, focusing on two letters I wrote to Fred—and more importantly, how Fred replied. Tim’s perspective has actually altered the way I look at Fred and his human greatness. It is true—a real courage, a quiet steeliness underlaid his desire to live a life of compassion, presence, love and non-judgment. I was reminded of what writer Tom Junod called Fred’s “unashamed insistence on intimacy.” Fred was certainly bold, and if not reckless, per se, he was a historically radical force for good. For the first time in years, I also talked publicly about my brother, Steve. By the summer of 2000, a tumor had encircled his spinal cord, leaving my brother paralyzed from the chest down, a once strapping forty-one-year-old man about to leave behind a wife and two young boys. Fred was very much a part of the tragic but inspiring journey we took with my brother. On several occasions I described for Fred how the disease had changed Steve's life, had delivered him from his many furies; gave him a deep peace and wisdom; made him a more attentive and loving husband and father; caused him to savor the first sip of coffee in the morning, the taste of strawberries and whipped cream, the song of a cardinal outside his window. Then, after a few minutes, Fred did something remarkable, bold, radical. He asked Steve to pray for him. Shouldn’t it have been the other way around? But Fred believed that anyone who suffered as Steve had suffered must be extremely close to God. Fred genuinely wanted Steve’s intercession. Until Steve was too weak to pray, he received it. On the night of Steve’s death, this email arrived at his home, addressed to me. I closed my talk in Arizona by reading it to Tim Wright’s people.